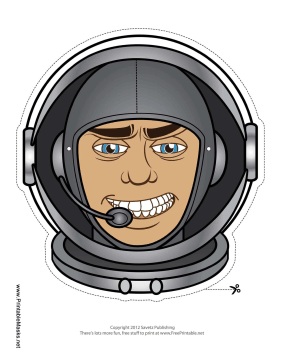 This grinning astronaut mask has blue eyes, big eyebrows, and a gray space helmet. If you're getting ready for a cardboard box rocket mission of your own, this mask is the perfect way to get dressed up! This mask is free to download and print.